Are you looking for a dental practice where you know your children are in good hands? 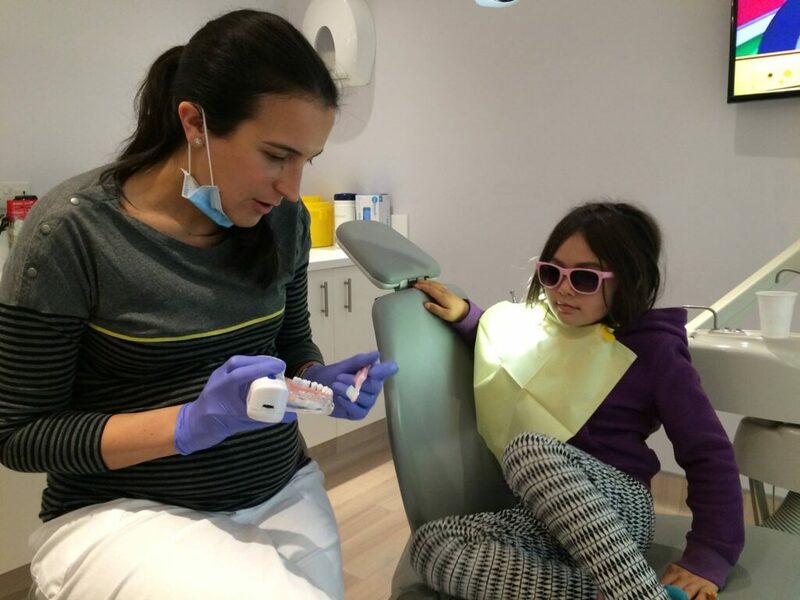 Here at Moira Wong Orthodontics we look after the teeth of children of all ages from across the Kensington and Notting Hill area. Parents are often surprised at the thoroughness and efficacy of private paediatric dental care. Paediatric dentists are used to spotting issues with small teeth and mouths that a general dentist may not notice. Our specialist children’s dentists take the time to show every child how to brush their teeth properly, and give guidance on eating habits to keep their teeth and gums healthy. In fact, our practice has been specially designed to accommodate children of all ages, with a welcoming atmosphere and books, videos and games consoles for entertainment. Our Paediatric Dentist Dr Carmen Colomar qualified from Universitat de Barcelona in 2005 where she also completed successfully a Masters Degree in Occlusion and Oral Rehabilitation. In order to provide a more comprehensive restorative dentistry she studied a Post-graduate Degree in Periodontics at Universitat International de Catalunya. After four years dedicated to private general dentistry in Spain she moved to the UK. It was then that she developed special interest in Paediatric Dentistry. Dr Colomar has continued to extend her knowledge and skills with post graduate courses and seminars, and she is a member of the British Society of Paediatric Dentistry. You can read more about the importance of seeing a paediatric dentist here.